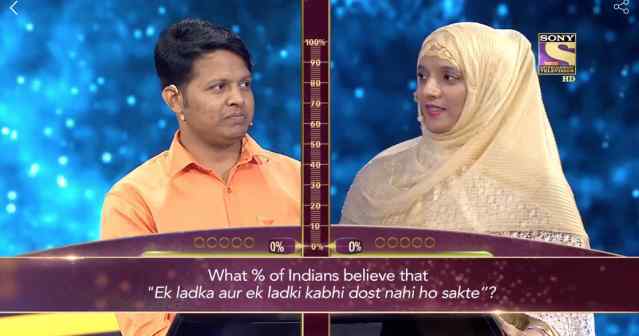 Power of 10 has been off the airwaves for many years around the world, but the folks at Sony Entertainment Television (India) decided to bring it back with a revamped format, new graphics and music, a flashy new set, and the show’s original host. The show is called 10 Ka Dum (Dus Ka Dum) and talks about a third season have been going on for years. Salman Khan, the original host, returns for the revival. This time around, thanks to technology, viewers can play along with the show at home. The leader board of home players are shown throughout the episode. 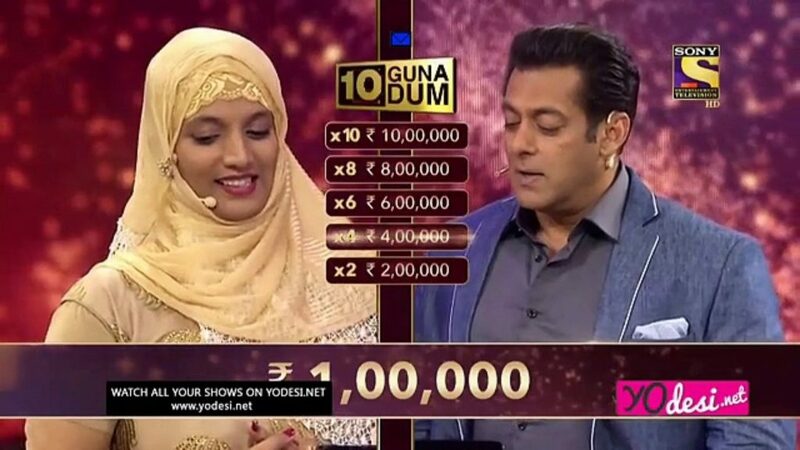 With the second season of 10 Ka Dum focusing primarily on celebrity players, the new season reverts back to bringing on civilian contestants. Throughout the episode, you learn more about each contestant and their backstory. When Power of 10 premiered in the United States, the show touted a massive $10,000,000 prize. The producers even felt that winning $1,000,000 would be quite the challenge. As it turns out, the very first player walks up and takes CBS for a cool million. If you haven’t already, listen to NPR’s interview with show producer Vin Rubino in a piece called “When A Game Show Contestant Almost Won Too Much Money” below. It’s quite fascinating. Head-to-Head round: Both contestants play all five knockout questions. If you win the question, you earn money. After five questions, whichever contestant has the money, moves on to Round 2. The other contestant keeps whatever they won. In this round, each player can use a lifeline where they can talk to their family and friends in the studio for 45 seconds. Final Round: The contestant can play one more question with a 10% range. If they get it right, their accumulated winnings from Round 2 are multiplied by 10. If they get it wrong, it’s divided by 10. The contestant may choose to walk away after seeing the question. The possible grand prize on this version is Rs.10,000,000 (a million.) If you’re interested in seeing the season premiere, there’s a video at this link. We don’t know how long it will stay up for, so watch while you can. What do you think of the new rules? Would you like to see Power of 10 return with this new format?